Cast stone fireplace with two cast stone columns on either side. 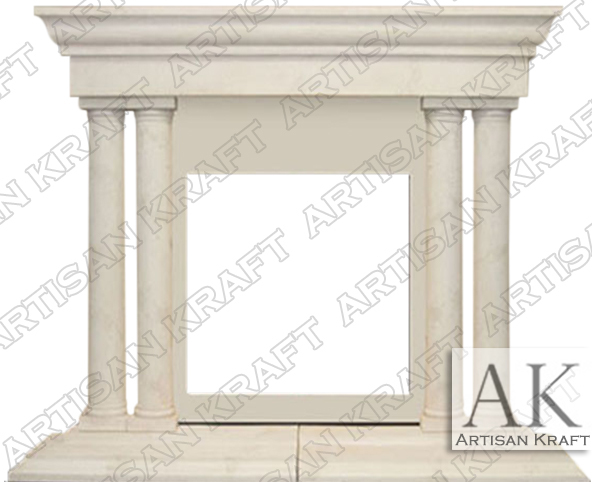 The two cast stone columns on this cast stone fireplace are Tuscan cast stone columns. The cast stone fireplace has a consistent grain throughout giving is a solid look. This cast stone fireplace could be made to in a travertine finish. This cast stone fireplace has a cast stone hearth a cast stone mantel and a cast stone inner surround. Easy to install marble fireplace. Simple and great for any size room. Can be made in for quick delivery.